The Glenn Beck Review: How does Glenn Beck have any credibility? On his Fox show on August 2, 2010, Glenn Beck claimed that members of the old SDS helped create the new SDS which, he said, was launched on Martin Luther King Day in 2006. He wants SDS and the union former SDS member Andy Stern was president of, SEIU, to have their members sign a pledge of non-violence. He then argued that they "believe in Alinsky who taught that ends justify the mean, so that's a credibility problem there." There is a credibility problem, and it's with Glenn Beck. It's right there, for example, in the claim that "Alinsky ... taught that ends justifies the means." That is not what Alinsky wrote in his book, Rules for Radicals: A Pragmatic Primer for Realistic Radicals." There is no need to reiterate this particular deceit that Beck keeps repeating; just read "Rules for Reactionaries: lie, distort, misinform." Beck's deceit is documented extensively here; just see the contents section (above) and look at the long list of posts under the heading Beck's false claims. Beck also claimed in this episode that Fox News "is telling the truth, the full truth." That too is a lie documented in multiple alerts every day from the progressive media watchdogs, Media Matters for America. Beck claimed that "the media has an agenda, and the ends justifies the means." The irony was dripping off the television. Fox and all of Rupert Murdoch's media empire within the United States has an agenda which is to undermine the Democratic Party at every opportunity. There are sections of the media that do have an agenda, but for Beck to paint the entire mainstream media as having an agenda is disingenuous at best and really just stupid hypocrisy. Beck's supporters eat this baloney up and many will march to Washington later this month to swallow a lot more of it from Sarah Palin and David Barton, two of the scheduled speakers among others at his "Restoring Honor" rally. Beck promised that it won't be a political event. More baloney. A supporter of Beck reading The Glenn Beck Review for the first time will experience what is called "cognitive dissonance." Beck ofter tells his audience that he tells the truth, and in this show he played a clip from a Perry Mason episode of witness being swore to "tell the truth, the whole truth and nothing but the truth." Beck is extremely gifted at deception and persuasion; that is why his followers do not catch on to his manipulation of their feelings and of reality. In this episode Beck stated that "[t]here needs to be an awakening. In every movement in this country's history there was an awakening and an enlightenment," and added "Let's wake America up peacefully." There does need to be an awakening; that's true. It is Beck's ardent supporters who need to be awakened that on the Glenn Beck Show, "nothing is as it seems" to use Beck's words. 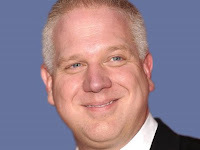 Glenn Beck is a master deceiver, a hypocrite about many of his "principles" and a charlatan, an uneducated, untrustworthy propagandist with an agenda that is obvious to millions of Americans who are not misinformed by Fox "News." These assertions are well documented here on this Review. This is nothing new to critics of Glenn Beck and of Fox "News." However, there is a large swath of the American electorate unaware of what Glenn Beck is about. They are the people who need to find out the truth about Glenn Beck before one of their neighbors, friends, relatives or fellow parishioners invites them - as Beck often encourages his supporters to do - to get sucked into the alternative universe that is Glenn Beck's reactionary world view.